Thank you to our current and prospective clients from our team here at, V-Technologies LLC. Founders of StarShip & ShipGear integrated shipping software provider. Work Less, Ship More. Ship it good. Are you a long time or new client? We would love to hear from you. Please consider giving us a Facebook or Google review, we would really appreciate it! 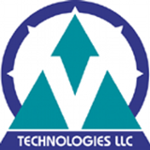 V-Technologies was founded in 1987, we are a leading provider of integrated multi-carrier shipping software that connects the warehouse to the front office, giving you efficiencies in shipping, accounts receivable and customer service. We partner with dozens of the major parcel, LTL and regional carriers such as USPS, UPS, FedEx, DHL, OnTrac, ABF, Estes, R+L, YRC, XPO Logistics and more. Our software provides integration between those carriers and popular ERP, EDI Partners, accounting and eCommerce platforms: QuickBooks, Sage, Microsoft Dynamics GP, Acumatica, Macola, Amazon, Shopify, Magento and ebay to name a few.